The event is open to listeners aged 16+ and tickets will go on sale on Wednesday 16 January at 8am. For more information about tickets visit bbc.co.uk/asiannetworklive. Those without tickets can tune into the live build-up from 6pm on Wednesday 2 March on Asian Network. The show will take place from 8 – 11pm and will be broadcast live on Asian Network and Radio 1. All the action can be heard live and on demand on BBC Sounds. 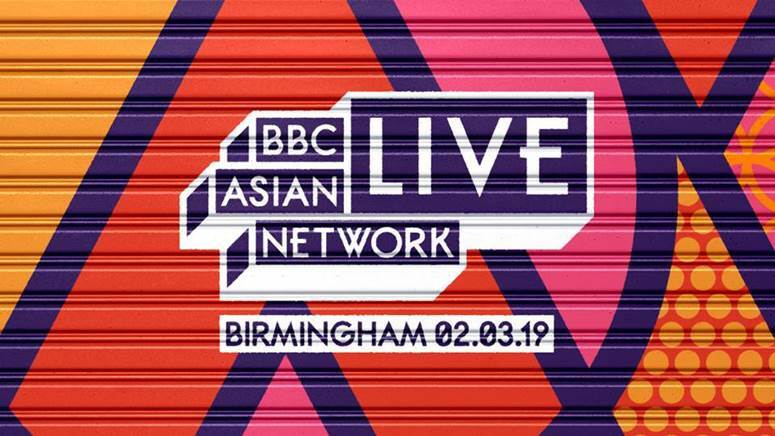 The show will also be live streamed on the Asian Network website and on BBC iPlayer, with highlights available later on Red Button and on Asian Network’s YouTube channel. South London based producer ADP (aka Amish Patel) is the hitmaker behind Krept & Konan’s ‘Freak of The Week’ and Yungen’s ‘Bestie’. In 2018, inspired by both hip hop and Asian beats, he collaborated with Juggy D and ZieZie for Asian Network’s Legalised Project where he led the reimagining of Panjabi MC’s Mundian To Bach Ke. 22 year-old Pakistani pop sensation Asim Azhar began his career online when his Urdu remix of Ed Sheeran’s ‘The A Team’ attracted praise from Sheeran himself. Since then, he’s worked with some of the biggest names on the Pakistani music scene including Aima Baig and Momina Mustehsan. Hackney based B Young cites Kano, Dizzee Rascal, 50 Cent and Wiley as influences and racked up two Top 20 singles in the UK R&B charts in 2018, including his breakthrough single Jumanji. He’ll be bringing his feel-good tunes and party vibes to Asian Network Live this year. Dutch artist F1rstman arrived on the Asian music scene in 2017 with hit track ‘Kabhi’, and has since gone on to work with a number of British Asian artists, including Juggy D, Raxstar, Mumzy Stranger and H-Dhami on party anthem ‘Dance’. Born in Punjab, India and raised in New York, singer and lyricist G. Sidhu plans to bring the US bhangra sound to Asian Network Live this year. He first started singing when he was at school in India, and names Jazzy B, Diljit and Master Saleem among his musical influences. California-based Jasmine Sandlas returns to Asian Network Live this year with her trademark powerhouse Punjabi vocals. As well as being named on the Woman’s Hour Power List as one of the most influential women in music, 2018 saw her release dancefloor anthems ‘Patt Lai Geya’ and ‘Sip Sip’. Birmingham native Jaz Dhami released his second album last year, ‘Pieces of Me’, featuring hit songs ‘Kurti Mal Mal Di’ and ‘Aitvaar’. He plans to bring more new music to Asian Network Live this year, along with his signature dancefloor anthems. London based Manni Sandhu’s combination of hip-hop and bhangra influences contribute to his traditional yet progressive sound. 2018 saw him work with Gurj Sidhu to reimagine Punjabi MC’s ‘Challa Part 2’. They’ll take to the stage together at Asian Network Live to showcase new material alongside the hits. Asian Network Live 2019 will be singer-songwriter Mickey Singh’s first ever UK performance. Combining traditional Panjabi music with pop, dance and R&B influences, he has gained popularity for his high energy anthems like ‘Body’, ‘Phone’ and ‘Hold Me’.